We are getting closer and closer to our OFA financing day - April 8, 1pm. This is the key day to be approved for our OFA funding which will allow us to finance new space. As we creep every closer to starting renovation and construction, I get to see images of what could be and I get super excited to think of how great our new home will be thanks to the superior work of people like Blake Bural (architect) and Lisa Mance (interior designer) from AC&Co. 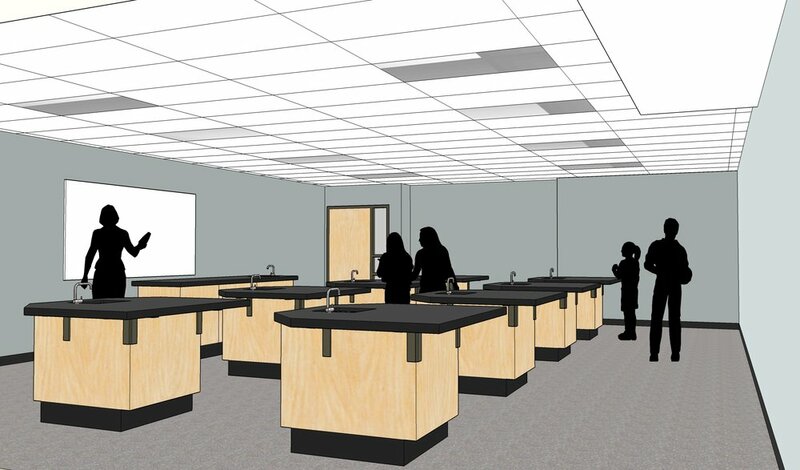 Here is an image of what the science lab will be! Please help us make the lab as great as it can be with a donation! All monies raised from our Mexican Dinner on May 3 will be going to this part of the project.